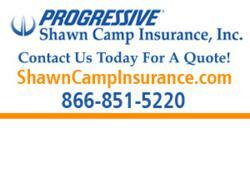 Shawn Camp Insurance, Inc. announces the launch of a new agency website at http://www.ShawnCampInsurance.com . With interactive features such as on-site glossaries, maps, driving directions, and multiple forms of contact, Shawn Camp Insurance, Inc.’s new website covers several types of insurance including Texas Auto Insurance and is designed with insurance customers in mind. Shawn Camp Insurance, Inc. has a long standing reputation of providing affordable and comprehensive Texas Auto Insurance. The agency has a commitment to keep the insurance buying experience simple. As a demonstration of that commitment, Shawn Camp Insurance, Inc. has launched a completely redesigned, interactive website at http://www.ShawnCampInsurance.com. The new design was specifically devoted to provide a more comprehensive source of insurance information and services for prospects and our current customers. In-depth information for the insurance buyer can be obtained through the useful articles and an extensive insurance glossary posted on the site. These resources will give answers to auto, homeowner, and business insurance customer's most commonly asked questions. The new site has been completely redesigned to improve the visitors’ ability to find what they are looking for, regardless of their knowledge of insurance. The site features a modern look and streamlined site navigation. It is more intuitive and very easy to get an auto, homeowner, or business insurance quote. In addition to the ability to submit quotes, visitors can also submit requests such as policy changes, payments, or file an insurance claim through a fully featured customer service portal. Visitors are encouraged to visit our News Room to view the latest local news. The website aims to provide insurance shoppers the ease of doing business that the internet has to offer, but still maintain the personalized service our insurance agency has been providing for years. Visit the site at http://www.ShawnCampInsurance.com for more information.